We are excited to share about the launch of our 12-week early-stage startup programme in partnership with Temasek. We have selected 12 startups to participate in our inaugural programme, which supports early-stage teams with a semi-validated idea and initial prototype. Over the duration of our programme, teams will have access to resources, product development funding, mentors and programme partners to support them in refining their startup ideas and building their prototypes into a full-fledged startup. The programme will run from January to March 2019 and will culminate with a Demo Day at the end of March 2019. Teams can look forward to bigger opportunities in funding, partnerships and piloting their prototypes with users. 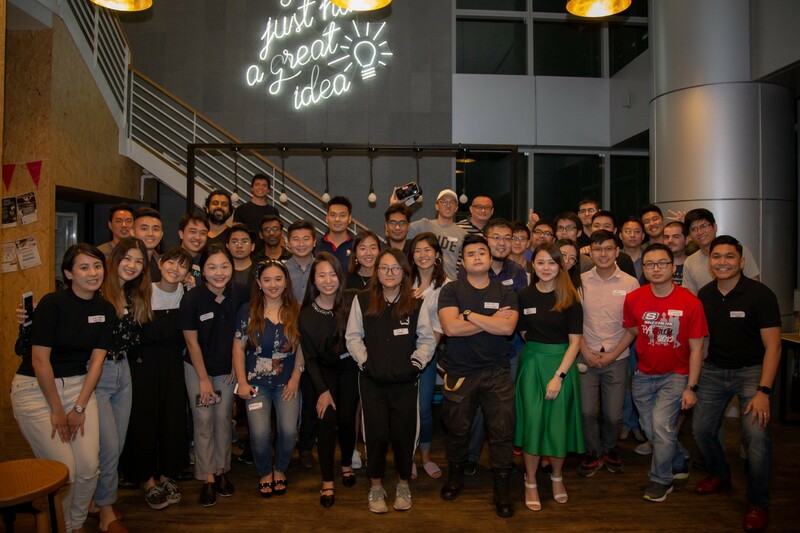 The cohort includes Bridge, a team of 15-year-olds from Raffles Institution who won IdeaHacks 2018, Mind Palace, who won first prize at Startup Weekend Singapore MEGA 2018 and Master, whose 17-year-old founder Dalton Ng won the prestigious scholarship to Apple’s WWDC in 2018. Mind Palace helps dementia patients to remember their loved ones through a customised virtual reality experience that recreates past environments from memories and alleviate negative emotions. StaffAny is a B2B SaaS platform that offers an integrated scheduling and timesheets platform to help managers automate scheduling and tracking of their hourly workers. Kint is an online platform that curates, rebrands and deliver second-hand clothes to customers. It provides a convenient and sustainable way for eco-conscious consumers to shop for high quality and affordable clothing. Bridge provides a transparent, convenient and secure mobile platform to help parents educate their children on how to spend, save and manage their allowances. The integrated payment system allows parents to monitor their children’s spending habits and help children learn better money management over time. Master fuses psychology and machine learning together in an app, so that you can learn anything in the fastest way possible. It helps you to save time drastically and retain information longer so you can effortlessly excel in your work or studies. Outside is a map-based community “helpsourcing” app that connects busy individuals with nearby help for their day-to-day tasks and inconveniences. Veport offers a trustworthy, convenient and comprehensive mobile platform to guide drivers through post-accident and private settlements processes. HomeyDays is an apartment rental service startup that offers quality VR room searching experience and a co-living environment with stylish furnishing and services. The startup serves the rental market for inbound students and professionals in major SEA cities. Gallenco Science uses AI to automate blood diagnosis thereby enhancing the efficiency and reducing the cost needed for blood testing. KpopKart is a dedicated online marketplace for Kpop merchandise. It provides a hassle-free experience for fans to promote, buy and sell merchandise directly via the platform. SGAssist is a platform that aims to connect the nearest community responders to emergencies while the ambulance is enroute. Its mobile app allows for people with home emergencies to get swift assistance within their neighbourhood. PinAlpha delivers in-depth analysis as fast as data is produced. They identify and connect all relevant data points, run all probable analyses, and output a detailed report in real time.